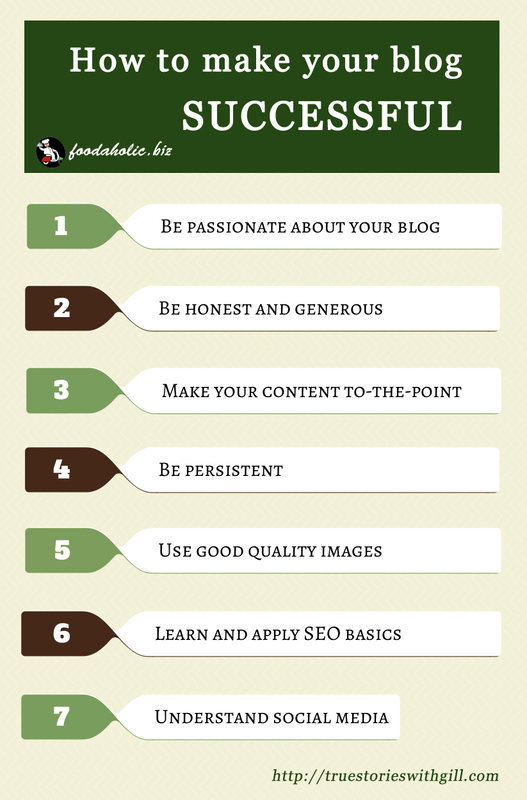 How to Make Your Blog Successful. A Story of One Passion. Have you watched the news lately? Everybody is fighting. Politics, religion, money, size of the fences, color of the grass. Recently, I’ve even seen somebody trying to start a fight about a funny cat picture. True story. Where is the world going? So today, I would like to talk about things that unite people: something that has been around since the Day One of humanity, as well as a recent phenomenon, both very typical to human beings of today: Food and Blogging. People eat, and with the triumph of the Internet over the lives of today they eat even more and in greater variety. I eat, too. In fact, I strongly suspect I eat more than many other people. I practically live on the food blogs, constantly looking for new eating experiences. But despite all the opportunities on the World Wide Web, it is extremely difficult to find something that is worth a permanent spot in my cook book. People also blog. Even grandmas. 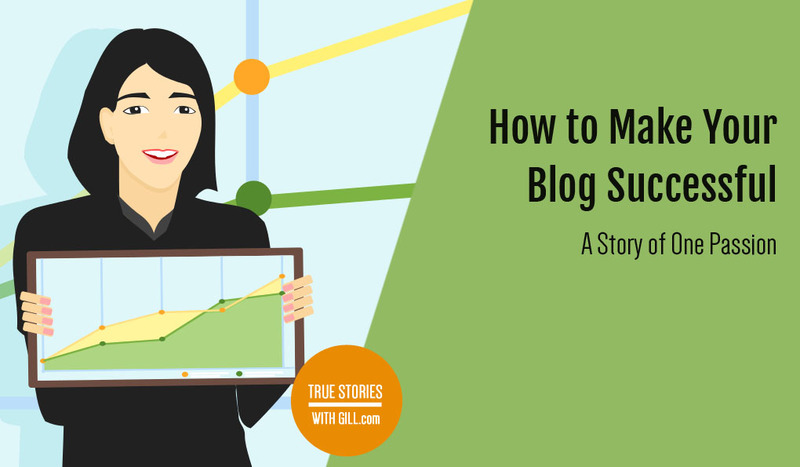 But with so many blogs around, how can you make your blog stand out, make it successful? What kind of recipes most of the people want these days? I haven’t found any survey on that, but if you define “most of the people” as working or somehow otherwise really busy folks who don’t want to drive around the city looking for an unpronounceable ingredient or babysit their food for three hours after a long day, then I can tell you what most people want. We want a recipe that uses the ingredients we already have in our fridge, contains clear instructions with no exotic equipment required, is cooked within 1-2 hours maximum with as less trips to the kitchen for supervision as possible. And at the end, it should taste like a piece of heaven. If it looks like a piece of heaven too, then I’m ‘moving in’ with online you. Now, you would say these recipes – if they exist at all – are extremely hard to come by. Well, consider today to be your lucky day, as I’m about to share a gold mine of such recipes with you. Meet Maria Nasir. Going by the facts at this point, I’m supposed to say “an owner of a successful food blog”, but this would be an understatement. So I’ll start over. Meet Maria Nasir, an owner of an online home for hungry people, a place you will keep returning to over and over again. For your dinner on Monday and Thursday. For your breakfast on Saturday. For the whole three course menu on Sunday when your in-laws are visiting. She won’t make you run around looking for 10 ingredients you can’t pronounce. She does not expect you to have a Chinese steamer in your kitchen. She won’t let you lose your way in the forest of instructions. Instead, she will take you by your hand and show you the short cut to delicious meals. For carnivores, for vegetarians, for folks with gluten allergy. Spicy, less spicy, savory, sweet. You pick. And if you did manage to screw something up, there will be a safety net of troubleshooting tips waiting. Maria started her blog ca. 11 months ago, with nothing but a passion for cooking and a strong desire to do something about it. Today, she has 6600+ followers and 600+ reads every day. But I’d better let Maria tell her story. Gill: Has cooking been always a passion of yours, Maria? Maria: I started cooking when I didn’t even know I was ‘cooking’. I imagined I was a mysterious alchemist conducting some serious experiments, the results of which will make people extremely happy all over the world. Gill: A ‘mysterious alchemist’! I see. How old were you then? Maria: Oh, I was barely 7-8 years old. Sometimes I cooked because I got bored very easily with routine food. The choice at home was between ‘eat it or go hungry’. Once my father challenged me that he would see what different breakfasts I would make every day. I wish he was here to see that I actually do! To me, cooking is an ultimate expression of love. Passing on all my recipes will be like leaving a trail of my love for my daughters. Gill: I’m sure your father would be very proud seeing how long you’ve come, both with your cooking skills and as a person. So when did you decide to start a blog and why? Maria: I started to learn painting, but quit it midway. I taught English language and literature for a few years, but couldn’t continue it, as I got completely engrossed in raising my daughters, which I of course don’t regret at all. In 2013, I was going to be 40, and I suddenly felt that life was passing me by very quickly, and I was just standing there watching. I needed to do something that made me feel in control of my life, and I knew it had to be something about food. I always wanted a small takeaway or ‘meals on wheels’ kind of business of my own. I thought the blog could be a step towards that goal. Also, I always wanted to document all family recipes as well as my favorite recipes for my daughters. To me, cooking is an ultimate expression of love. Passing on all my recipes will be like leaving a trail of my love for them. Gill: Were you able to take the next step to the actual ‘meals on wheels’ business already? Maria: This project is in the pipeline, almost ready to launch in a few weeks. Gill: What were your first goals when you started blogging? Maria: Honestly, I was really scared when I started my blog. I’m not at all a technology savvy person, and handling a blog all by myself was very new and difficult for me. But I was determined to do something outside my comfort zone, something that would shake me out of my slumber! Also, my husband and daughters supported me a lot. Initially, the goal was to build a platform of recognition, create a name, which will finally pave the way for my own small catering business. The truth is that after a while I started enjoying blogging itself a lot, the whole creative process. Interacting with people from different cultures and getting feedback from them is immensely satisfying. I wanted my blog to be as warm and welcoming as my home, with something for everyone to enjoy. On the other hand, I wanted the content to be to-the-point and concise. Gill: Did you do some preparation like reading the blogs of others, reading tips and tricks about blogging, etc.? Maria: I used to search for recipes online even when I did not have the remotest idea that I would start my own blog someday. I had some idea regarding the content, but as far as the technical side is concerned, I learnt most of the things on the job. In fact, I’m still learning, as new things keep popping up every day. Gill: Well, I can tell you I myself practically live on the recipe web sites, but your blog definitely stands out of the usual “blog crowd”. It looks very well thought through. Did you do all the design and structuring work yourself? Maria: As far as the basic layout, the categories, and how all this should finally lead to the catering business it was my idea. But how it appears on your monitor, how my idea was solidified, for that the whole credit goes to my cousin Anum Ghaznavi. I think she has done a marvelous job in making it a user-friendly blog. Gill: You know that I find your recipes being different from the ones I’ve seen on other blogs. So the question I wanted to ask you for quite some time now is, was it like you’ve read other blogs and thought, ‘Wow, these guys do it all wrong with their boring/long/uncookable recipes. I’ll do it in a different way’ or did it just come naturally to you, without any particular decision on how exactly it should be done in advance? Maria: First and foremost, I wanted to connect with my readers. I didn’t want to place myself on a high and mighty pedestal of Miss-Know-It-All. I wanted to share my experiences with them in complete honesty. When I visit some other blogs nothing puts me off more than the indifferent superiority of the blogger. I wanted my blog to be as warm and welcoming as my home, with something for everyone to enjoy. On the other hand, I wanted the content to be to-the-point and concise as well. A time lengthy rhetoric confuses the reader and complicates the actual recipe. After all, whoever is visiting my blog is coming primarily for some recipe or tip, not for a just a neighborly chat. It’s not easy. But if you have real, undying, unflinching, ardent passion, if you can get up every day and tell yourself, ‘Okay, I have something worthwhile to share with the world today’, only then start a blog. Gill: Speaking of neighbors. I would love to be yours! I hear you have a family tradition of Sunday brunches. I can absolutely see myself passing your house seemingly accidentally at a particular time on a Sunday now and then. I guess the open house Sunday branches would be one way to get people interested in your food and your blog. But as you have followers all over the world, I presume you had a different strategy on how to get people to read your blog? Maria: Oh, I would be delighted to have an IT consultant living next door to me. When I started blogging I was only active on Facebook. After 3 months, I realized it was taking me nowhere. On the insistence of my cousin, I joined Google+, Twitter and Pinterest. Out of all these, Google+ has brought most traffic to my blog. Soon I also learned that the quality of images and introduction for a recipe that I post on any social network matters a lot in attracting readers. A clear photograph and precise intro open the gateways to your blog. Gill: When was the day you’ve realized your blog made a breakthrough? Was there something particular that led to it or was it a constant graduate process? Maria: For the first 4 months it was a slow and gradual progress. Then I started getting requests for particular recipes, especially from overseas Pakistanis who missed certain traditional foods abroad. Then I started noticing people from all over the globe showing interest in my recipes. After 6 months my blog started receiving steady traffic every day, even on days when I didn’t post or publicize anywhere. Gill: I’m sure you’ve at least heard of the “buzz word of the blogger generation”, the SEO. Did you do something in this regard? Maria: (laughing) SEO were the scariest and the most boring three letters for me initially, but I was told it was essential for the survival of the blog. So I read a lot about optimizing my blog for search engines, stuck to the basics and with some practice I got the hang of it. Gill: What would you say is the best thing on writing a food blog? Maria: The best thing is the continuous learning experience about different food cultures, cuisines, ingredients, methods and techniques. There are infinite possibilities for creativity. Gill: And the hardest thing? Maria: The hardest thing is to create a unique identity of your blog among a myriad of food blogs out there. If a reader is searching for a banana bread recipe, there are hundreds of banana bread recipes available online. You have to make sure that they stop at your recipe and also return next time for more. Gill: Any funny experience you had connected to your blog? Maria: I usually photograph my food during sunlight hours in my front porch. It’s smoldering hot in Pakistani summers, at midday, under a glaring sun. On one such day, one of my neighbors saw me setting a table with food on it, in the sunniest spot on the porch. She nearly dropped her washing and her facial expression showed clearly what she thought of me! At another occasion, when I had to take a picture of food at night, dissatisfied with indoor lighting, I shot the photo with our car’s headlights turned on. Gill: This is what one calls a 100% dedication I guess! I see you publishing one new recipe almost every day. Where do you get your inspiration from? 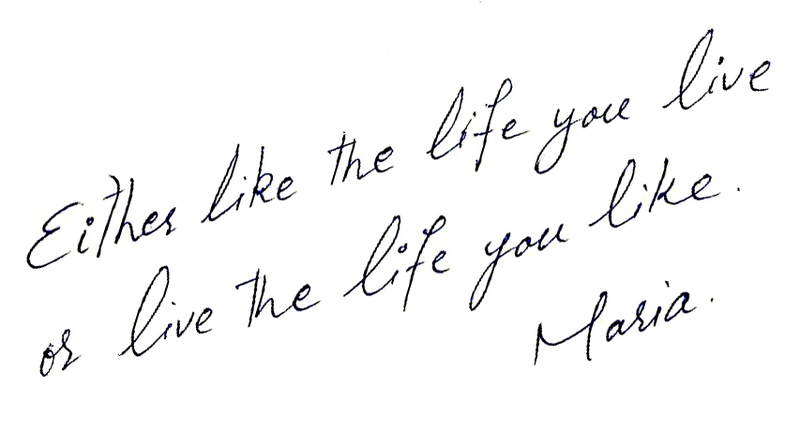 Maria: (laughing) My inspiration is my family. They love food. They like variety in food, and I try to stand up to the challenge. Actually, it’s not as difficult as it looks. Usually, I don’t cook specially for the blog, I cook and share what my family loves to eat, what families around the world like to eat every day, a family with a husband who has a sweet tooth, with school going kids, with picky eater kids, with growing kids. Gill: I hope your family understands how lucky they are to have a personal chef cooking for them every day! What would be your favorite recipe from the ones you published so far? Maria: Oh, there are so many! If I really have to decide at gunpoint, it shall be the Savoury French Toast, which is my father’s recipe, and I have some good memories attached to it. Also it’s quick, simple and very versatile. A close contender would be Kabuli Pulao. 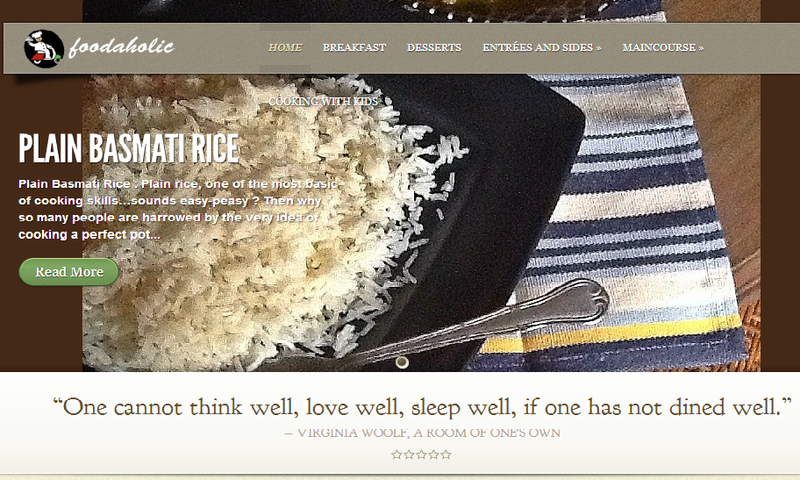 I simply love rice! Gill: Oh yes, the Kabuli Pulao! The king of rice meaty dishes in my books. You know, I can go on asking you questions over questions for hours, as I find your story very interesting and inspiring. But in this case I’ll have to publish a whole book on you and your blog. So I’m going to ask you the last question for today: What is your advice for someone who thinks about starting a food blog? Maria: It’s not easy. But if you have real, undying, unflinching, ardent passion, if you can get up every day and tell yourself, ‘Okay, I have something worthwhile to share with the world today’, then start a blog. Please, be honest and generous with what you share. A technique not shared sincerely, an ingredient kept back purposely, can ruin an important day for someone or put them off cooking forever! Since I have started blogging – and it hasn’t been long – I have seen many food blogs surface and disappear. It requires a lot of persistence to carry on. Also come equipped with some understanding of social media, because the way you project yourself can make or break your blog. I sincerely want to thank these friends who have supported my blog from the beginning and guided me through the labyrinth of social networking: Kenneth Kapasi, Kathy Boucheti, Deyasini Datta, Azlin Bloor, Shobhnaa S, Balvinder Ubi, Furqan Arshad, Johan Zietsman, Kashif Zahid, and most recently my friendly and patient interviewer Gill Andrews, and many more. Previous post From Zero to 10,000 Followers in Two Months. A Story of One Success. Next post Crafting Your Own Dream. A Story Of One “Shaak”. Gill, another fabulous interview! Well done! Maria, I am so happy to be connected to your through Gill and I so look forward to learning more about you. I am excited to try out some of your recipes!! Thanks a lot 🙂 I guess it was your interview that started this trend 😉 I feel really honored to be trusted with the True Stories of real lives. No fiction story can compare to that. How fascinating. I can’t wait to go to Maria’s website. Very enjoyable interview and lovely person. Thanks. hello friends its very informative for me ….